Last week, we reported that a KSTP/Survey USA poll shows Stewart Mills leading Rick Nolan by eight points. As we’ve noted for years and years, polls are deeply imperfect (sorry, Nate Silver), and there’s only one poll that matters, and it’s coming up two weeks from tomorrow. …which he spent sniveling like a four-year-old who didn’t get ice cream about outside money’s effect on politics. @mitchpberg surest sign @StewartMillsMN is winning in #MN08 – Esme Murphy had Rick Nolan on today to whine about outside money in politics. 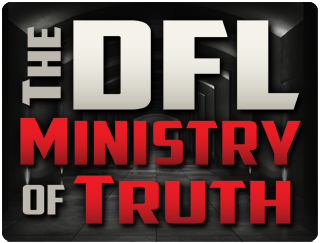 This entry was posted in Campaign '14, Media Bias, Minnesota's Ministry Of Truth and tagged MN CD8 by Mitch Berg. Bookmark the permalink. There is a new Nolan/anti-Mills ad out. Says the same thing as the others. They (the people talking) are upset because Stewart Mills enherited millions. Says nothing about he is inheriting his family’s successful business. Also says nothing about why Mills would be a bad representative. Inherited money from his grandfather’s retail business. Just like Governor Dayton. How can that fact alone make one man wonderful and the other man wicked? How stupid does the DFL think Northern Minnesotan are? I trust Joe, that you are asking a rhetorical question……the answer seems plainly obvious to any who choose to open their eyes. MIlls, who is named after his WW1 vet grandfather, works in the family business, as you all know. Dayton hasn’t worked a day in his life. And hides his trust fund offshore in South Dakota to avoid paying for a better Minnesota. Mills uses his wealth to run a business and employ people. Dayton has cashed out his inheritance and uses to it to purchase elections. As far as low info voters falling for DFL ads, I don’t think it will work all that well this time. People are familiar with MIlls Fleet Farm. They are not familiar with how other businesses run. Bwaaahahaha! That is one sad moonbat! Yea, but facts like that don’t matter to the brain dead zombies that vote for anyone with a “D” after their name. If I ran a GOP PAC, I would have run ads about the Dayton family’s exploitation of minimum wage workers to build their fortune, closing with the fact that he avoids paying MN taxes. I would also run ads about Al Franken’s tax dodging to counter his BS ads about Mike McFadden. Apparently the DNCC thought that because they successfully tarred Mitt Romney with the millionaire brush that it will work on Stewart Mills III. Not as many low information voters in MN as they thought. Tax breaks for millionaires? Let’s see, the top 10% of earners based on AGI paid 70% of all taxes. The bottom 50% paid 2%. Apparently those percentages are supposed to be 100% and 0%. Enough with the class warfare, dems! Start some real job creation, not public works boondoggles, crony capitalism based on bad climate science and service union welfare.